When things seem too good to be true, they usually are. Alice is finding her feet managing the Sail Loft Hotel when Sam is presented with an offer he can’t refuse. The bad news is, if he says yes, he will have to leave Cornwall. Sam’s visits home see him split in his loyalties between his daughter Sophie, and spending time with Alice. Sophie’s mother, Kate, seems to be doing her best to make things difficult. Meanwhile, Alice’s friend Julie is also facing a long-distance relationship as her new partner, and Sam’s best friend, Luke, is working in London. With no children to think of, and plenty of disposable income (on Luke’s part at least), life should be more simple but Julie has yet to find a long-term job and Luke is still getting over the recent death of his mother. 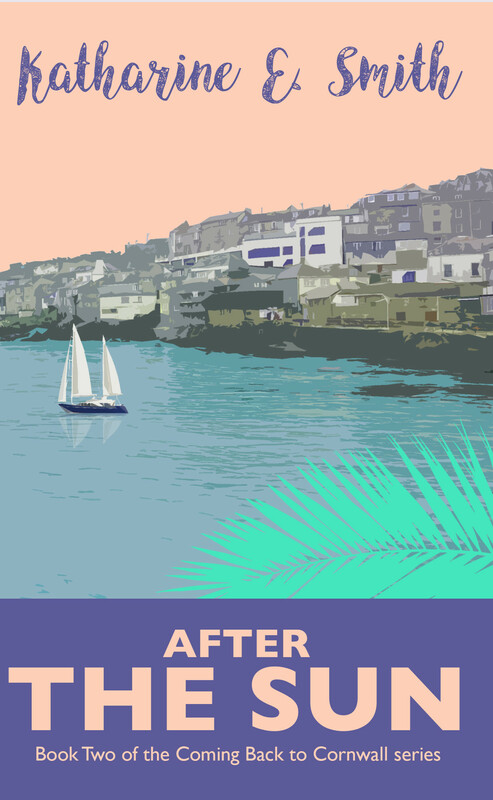 Can these fledgling relationships pass the long-distance test, and can Julie and Alice make life in Cornwall work for them now that the summer sun has gone? He’s been offered sponsorship through university, including a year’s practical experience partway through the course, and guaranteed employment afterwards. His exam results were some of the best in the country for his chosen course, Applied Marine Biology, and he’s actually been head-hunted by a brilliant conservation society. It’s more wonderful news, on top of everything else. Only the course they want him to do isn’t at Plymouth, it’s at Bangor, in North Wales. 414 miles away via the quickest route (seven hours, ten minutes). 389 miles via the A30 (seven hours, thirty-two minutes), five changes on the train (eight hours, fifty-eight minutes). I am saying the right words but I am willing him to say no, he won’t, he doesn’t want to. We have been apart for ten years, and back together again for a matter of weeks. I can’t bear the thought that we will be separated again. But I know that this decision needs to be his. He looks at me, his blue eyes serious and holding my gaze. I look away first, scared that I might cry. “Number fifty-three!” The lady behind the counter calls out cheerfully. “This is us,” I say, “I’ll go and get it.” I am grateful for the opportunity to break this moment. “Do you want any sauce?” I ask, trying to match the cafe lady’s tone. “Alice…” Sam says but I am on my feet, walking towards the counter with a smile on my face while inside my heart is breaking. I know that he has to go. 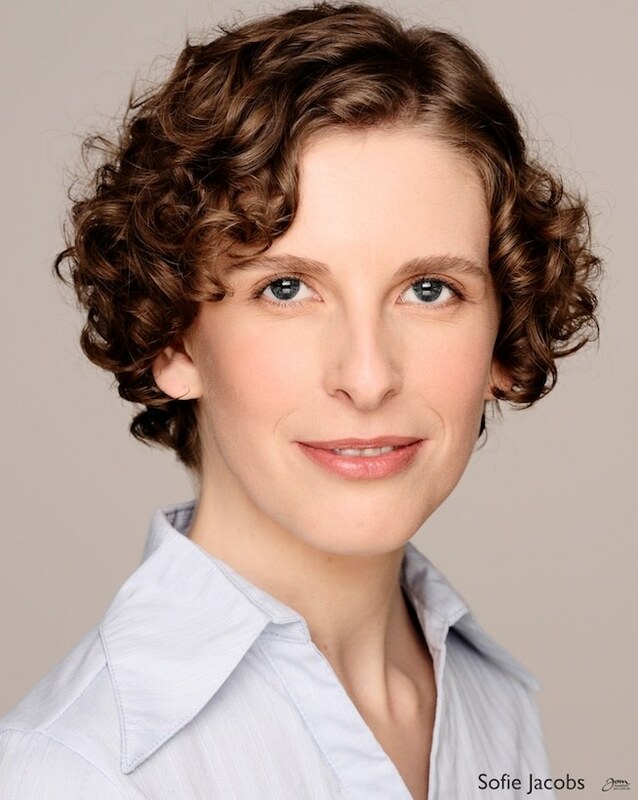 Katharine E. Smith is a writer, editor and publisher. An avid reader of contemporary writers such as Kate Atkinson, David Nicholls and Anne Tyler, Katharine’s aim is to write books she would like to read herself. She has three novels to her name, and one non-fiction guide, written with fellow indie authors in mind. 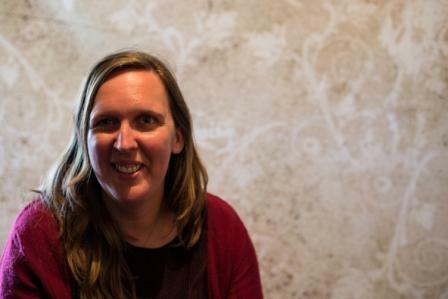 Katharine runs Heddon Publishing from her home in Shropshire, which she shares with her husband and their two children. Have you ever tried to conjure up the perfect man? It’s not as easy as it might seem, even if you are a powerful and intelligent witch. Will Petulia and Miss Level be able to fix everything and can they use their witchcraft to overcome misery? A muffled conversation between Petulia and Miss Level was a distraction for all the people in the audience, but they didn’t care. They were talking about important things. Like the weather. For some people this might have been a good indication of how badly the actors were performing. I mean, if the weather appeared to be more tantalising than the arts, there could only be something wrong with the arts. Unless the weather was actually extraordinary. I can understand that a hurricane would be very interesting, but the question is: who would go to the theatre in a hurricane? Clearly Petulia and Miss Level. It makes you wonder if there actually were people around for them to distract. In any case, a performance during a hurricane has a valid reason for being below average. The actors were probably wondering how long the roof would hold up, and they had to shout to be heard over the howling wind. When one of them finally noticed that the two audience members weren’t even paying attention, he signalled to his colleagues and one by one they left the stage to find safety in the basement of the theatre. The last one shouted, “Switch off the lights before you leave,” which made Petulia raise her hand in affirmative response. And then they were alone. “Finally! It took them long enough.” Petulia grabbed her canvas bag from the seat next to her and stood up. “Well, you know how daft actors are.” Miss Level waited for Petulia to squeeze past her between the rows of chairs, then picked up her own bag and followed. Instead of going to the exit, they crossed the room and walked up to the stage. Petulia fished a piece of chalk out of her bag and started to draw a pentagram on the floor of the stage. “It’s almost ten o’clock. We’ll never get this done in time.” Three points were already drawn. “Nonsense. We’ve got all the time in the world.” Miss Level stopped at the first point and put a bowl filled with herbs on the tip. She rummaged through her bag again and found another bowl for the next tip and so on. When the entire thing was drawn and supplied with the right herbs at the right points, Petulia put her hand in her bag again and found two boxes of matches. She threw one to Miss Level on the other side of the pentagram, who, by some miracle, caught it perfectly. Then she checked her watch: 9:59. She glanced up. Both women lit their matches, waited a full second with their eyes closed and then blew them out. At the same time as the flames died, the herbs in the bowls caught fire. The women spread their arms and started chanting indiscernible words. The smoke began to whirl around between them, creating a sort of vortex. This went on for ten minutes. Just when Petulia was about to ask if they were doing it right, a shadow appeared in the smoke. First it seemed like the smoke just got darker, heavier. But then it started to dissipate and they could clearly make out the form of a man. The smoke cleared completely and the chanting stopped. 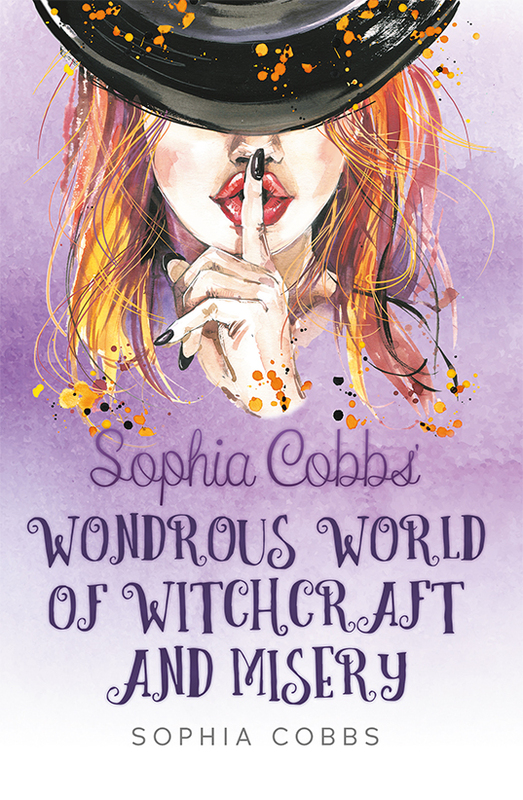 Sophia Cobbs was born in 1982 in Dendermonde, Belgium. She has always had a fondness for writing. In high school she wrote poems and short stories but mostly kept them to herself. This is her first novel. When she isn’t writing or directing, she is doing one of two things: her day job as Office Manager for an IT company, or scouring wine tastings with her long-term boyfriend. Outwardly a grieving young Victorian widow, Charlotte Richmond is concealing some scandalous secrets when she arrives at Finchbourne Manor to start a new life with her husband’s family. The wealthy Richmonds must never discover that her husband’s recent death in the Indian Mutiny came as a great relief. Nor must they hear about the rumors circulating in the army regarding his scandalous behavior. 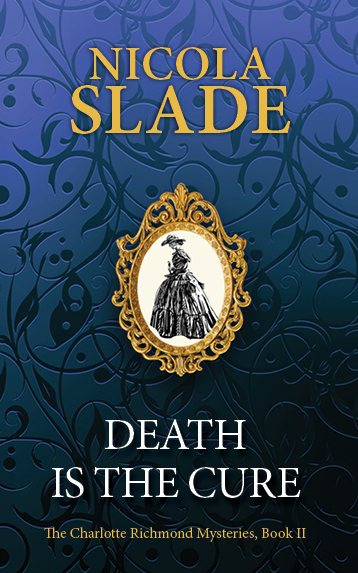 His death has also been the subject of speculation and Charlotte must take care not to spill any secrets. Above all she must make certain that nobody in her new life hears of her own adventurous upbringing in Australia. When the past catches up with Charlotte, she begins to fear for her own life. As she laid out the body, Charlotte Richmond made two surprising discoveries. The first of these led her to suspect that the man on the bed had been murdered. By whom, she had not the slightest notion. To whom she was profoundly grateful. The second discovery confirmed what she had known all along, that the deceased – late and far from lamented – had not possessed the habits of a gentleman. As this was the second time in less than a year that he had apparently been murdered Charlotte felt she might be forgiven for not falling into a paroxysm of grief; indeed, strong hysterics might, she considered, be a more appropriate reaction. ancient, dark oak of the panelling, the extreme chill of the flagstone floor, and the picturesquely leaded windows that let in so little light, had overheard her mother-in-law express a similar sentiment. ‘Oh, that dreadful Mutiny, what will become of that unfortunate child, poor, dear Charlotte?’ she had enquired, allowing an artistic sob to colour her voice. In spite of the nervous tension that had her sitting ramrod straight on an uncomfortable oak settle, blackened by age, Charlotte listened, with wry amusement, to this conversation. Shifting very slightly in her seat she felt a twinge of guilt as she recollected how differently Frampton Richmond’s ‘sad’ death had been viewed by her military acquaintances in India. I must say nothing, she thought, shaking her head. I have seen the damage caused by a stray shell fired into the midst of the market place, who am I to lob a shell of my own and destroy their illusions about their lost hero – and for what? Rumour? Speculation? No, not I, my part is to play the grieving widow and ingratiate myself into their home and into their affections, to make a settled home for myself at last. Besides, she reminded herself, I dare not raise any spectres from the past, what if they found out about me? 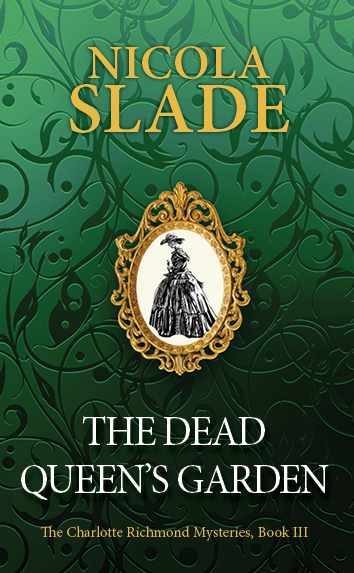 Nicola Slade has been a Brown Owl, an antiques dealer, and once lived in Cairo for a year. 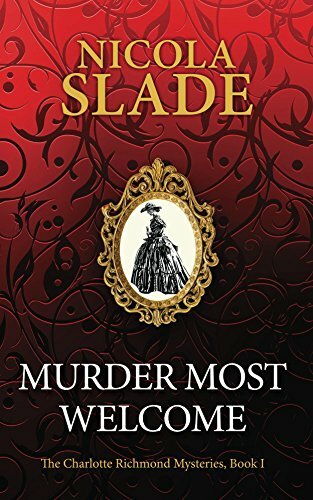 Her published novels include a romantic comedy, Scuba Dancing, three Victorian mysteries featuring a young widow, The Charlotte Richmond Mysteries, and three contemporary mysteries featuring recently-retired headmistress, Harriet Quigley, and her clergyman cousin, the Reverend Sam Hathaway. The Harriet Quigley Mysteries. 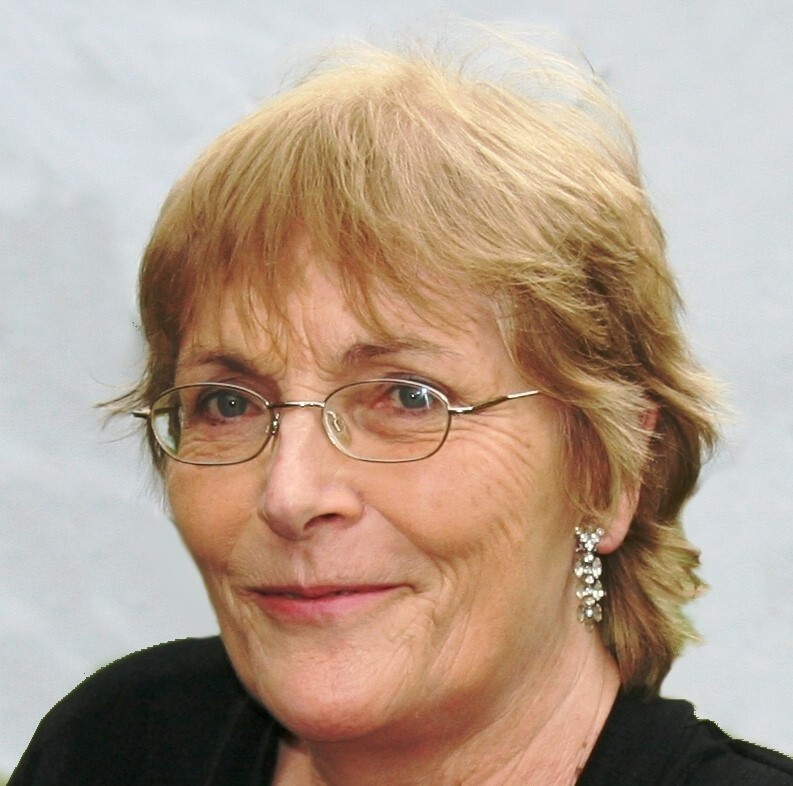 Her eighth novel, a mystery romance, The House at Ladywell, was published in late 2017. Nicola’s family is now grown up and she and her husband live near Winchester.